Ambarish Gupta and about 170 of his teammates were about to log off for the day around 7.30 pm, last Tuesday, when an unexpected error occurred. His Gurgaon-based company Knowlarity runs the backbone of call centers for many important hospitals, cab companies, restaurant chains, and online food ordering companies in India. Suddenly, it found about one-third of all the company’s call center lines dead. Everyone thought it to be a massive technical failure and informed the telecoms operator whom all those numbers belonged to. After an hour the operator got back saying it was the government of India which had ordered to shut the lines for the startup. Meanwhile, customers panicked. Some of them were large hospitals – who run services such as instant SMSes and calls to doctors if a patient’s condition becomes critical. “We lost a bunch of businesses, because our patrons kept trying our hotline number and it did not connect,” says Rushabh Vohra of Mr. Homecare, a cleaning service startup. 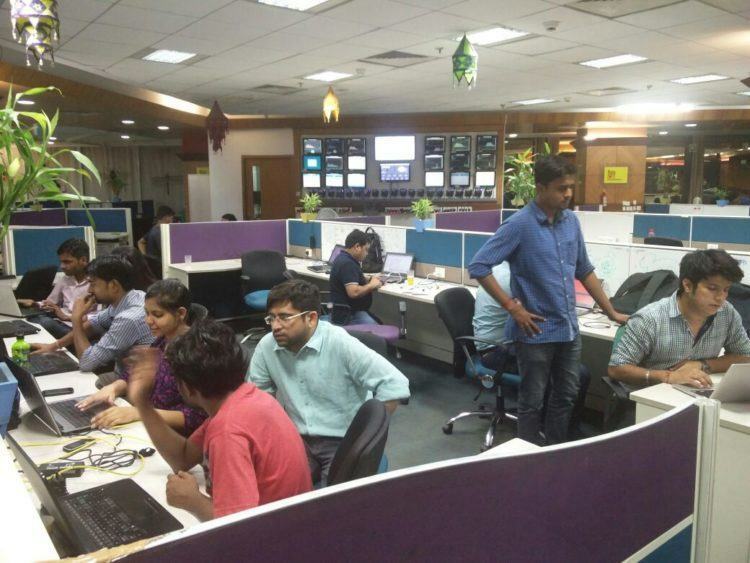 The 170 employees of Knowlarity decided to stay back all night in the office, struggling to reroute the lines to other operators. But the numbers given to the customers could not be changed instantly. Knowlarity employees were eating and sleeping in office. Next day, 37-year old Ambarish went to the department of telecoms in New Delhi, which controls all telcos in India, to seek clarity on why his company was singled out. Other companies such as JustDial, Sulekha, and others also run call conferencing services. Here is how call centers work: A customer calls on a certain number and the system forwards the call to various numbers depending upon which one is free. Thus an incoming and outgoing call happens simultaneously. Ambarish was told that Knowlarity was violating the AudioTex license of 1995, which doesn’t allow two calls to happen at the same time. And since the company was the biggest in this space, its lines were cut, without notice! Ambarish had no choice but to approach a government tribunal next day. The court ruled in favour of Knowlarity and ordered a stay. Lines were restored for a day but then cut again the next day, as the ‘reconnect’ word was missing from the court order. 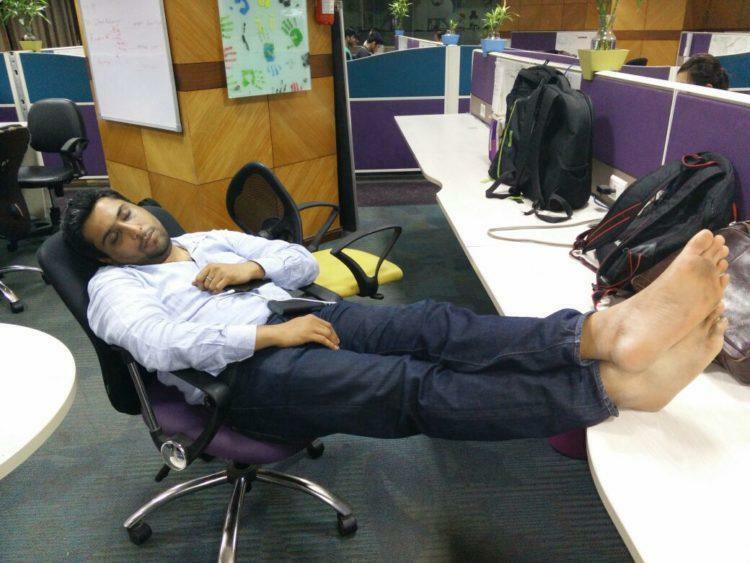 Employees sleeping in Knowlarity office after a night’s work. 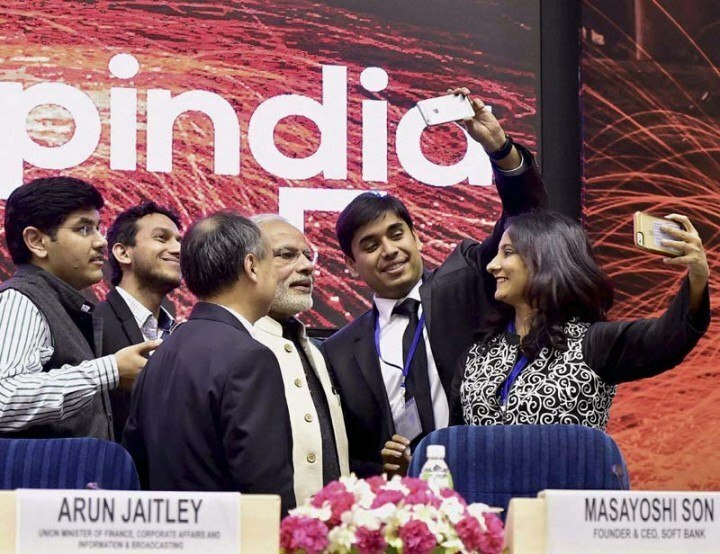 Knowlarity, founded in 2009, is one of India’s startups successes. Big VCs such as Sequoia Capital and Mayfield Ventures have funded the company with over US$22 million. Its customers are choosing to stick by Knowlarity but expressed anger at the government, which on one hand is trying to encourage startups. “We are facing a complete service outage since Thursday evening. None of our customers or prospective customers can get in touch with us and that’s a huge hit both financially and brand-wise. It is disappointing to learn that this was due to such an arbitrary action by the government department,” Divyan Gupta, founder and CEO of Keshiha Services, and one of Knowlarity customers, tells Tech in Asia. Ambarish came back from the US after working there for several years to start a cloud telephony business in India in 2009. But even after years of his persuading the government, the cloud telephony business has been caught in regulations. “Driven by pressure from certain telecom regulatory officials, a large part of our telecom lines in Delhi were disconnected without any prior notice. We were shocked to see this action,” he says. “We are facing one of our worst instances of outage. Even a five-minute outage would lead to massive business losses for our customers ,” he adds. About 4,000 of the 12,000 odd customers of Knowlarity suffered an outage. According to the government official Ambarish met, call-bridging is not covered in AudioTex. “But this is the basis of our product SuperReceptionist and solutions such as virtual numbers,” wrote Gupta in this Medium blog. The company has started Twitter and Facebook Campaigns to save cloud telephony even as it fights it in the Indian courts. “If the government started having regulations on new technology like self-driving cars and robots even before it emerges, it can be catastrophic,” he says. 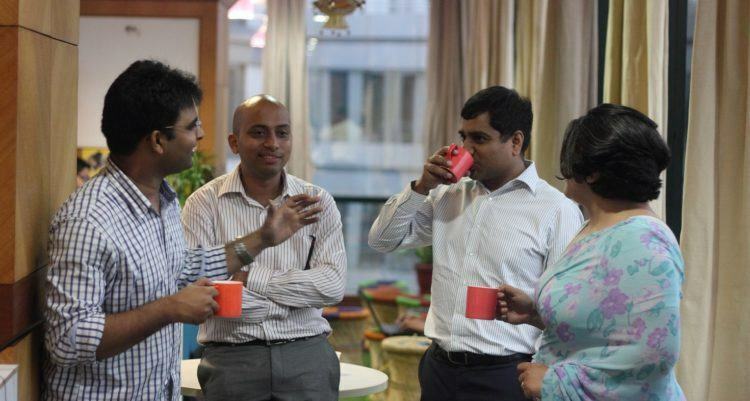 Knowlarity co-founder Ambarish Gupta – third from left in the startup’s office. Photo credit: Knowlarity. However, the company is seeing this phase as yet another lesson in the path to becoming stronger. “When you sit at 2 at night trying to figure out a way to route a disconnected line so that your customer’s toll-free number continues to function, you don’t need another training in your life on team-work, customer empathy,” he writes. “Anything that does not kill you, makes you stronger. We are stronger,” he notes.